During the recent Oregon State Legislative Emergency Board hearing considering a federal application for funding of the Aurora State Airport, an active state senator who represents Wilsonville accused the city of breaking the law. Oregon Sen. Fred Girod (R- District 9) accused the City of Wilsonville of illegally discussing its strategy for contending Aurora State Airport development in executive sessions, misappropriating funds by hiring a lobbyist to advance their interests and contesting the implementation of water and sewer facilities at the airport. Wilsonville City Council vehemently denied these allegations at a meeting Oct. 1, and agreed to send a letter to legislators and stakeholders arguing that Girod's assertions are false. "I think it's a complete misrepresentation of how this council has operated in the seven years I've been here," Wilsonville City Manager Bryan Cosgrove said. 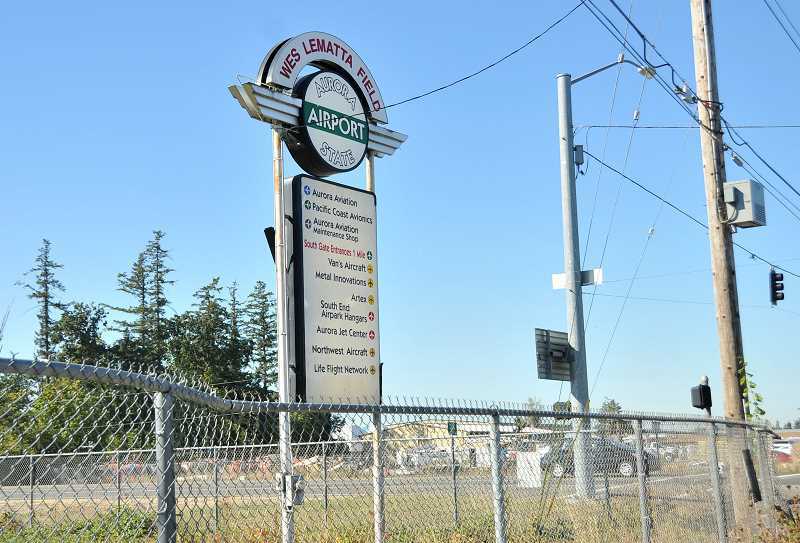 Development at the Aurora Airport has been a hot button issue for the last decade and the Emergency Board hearing was in response to the Oregon Department of Aviation's application to receive $37 million in federal grant money. The decision was shelved until December and, in the interim, opponents and proponents of the extension will discuss their concerns through Oregon Solutions, a Portland State University program that mediates disputes between governmental leaders. Girod believes Wilsonville should not have a say in the matter because the airport resides in Marion County, not Clackamas County. "It would be like one of your rural counties being dominated by cities that aren't in your district," Girod said of Wilsonville's contentions. "The City of Wilsonville conducts these meetings mostly in executive sessions because they want to hide what they're doing. And they pay a lobbyist to go out in this district and organize the opposition." Wilsonville officials denied discussing the issue in executive sessions. And Cosgrove said hiring a lobbyist is the norm among cities in the region. "I would add that somehow the inference that the city is misappropriating funds because we have a lobbyist is laughable to me because we have to follow Oregon Budget Law for one. And number two, I don't know any city in the Portland region that doesn't have some level of lobbying going on," he said. Counselors also objected to the notion that they have opposed the airport receiving sewer and water services. Instead, Public Affairs Director Mark Ottenad noted that, in 2013, the City advocated against a bill that would allow cities to provide such services to areas that hadn't been annexed. The airport currently resides in an unincorporated part of Marion County. Wilsonville Mayor Tim Knapp, who testified at the Emergency Board hearing that the extension proposal should be put aside until a new intergovernmental agreement and Aurora Airport Master Plan is formed, believes the Aurora Airport could significantly impact surface transportation in Wilsonville. "I've heard Sen. (Betsy) Johnson testify that we could have 4,000 jobs there. If you're going to go from 1,200 jobs at the airport to 4,000 jobs, it is even rational to think that there isn't going to be traffic and transportation issues arising out of that? I cannot believe that," he said. Knapp added: "I think we need to rebut and we need to do it factually and remind them of the issues that they insist are theirs alone to decide but are affecting people across jurisdictional boundaries."